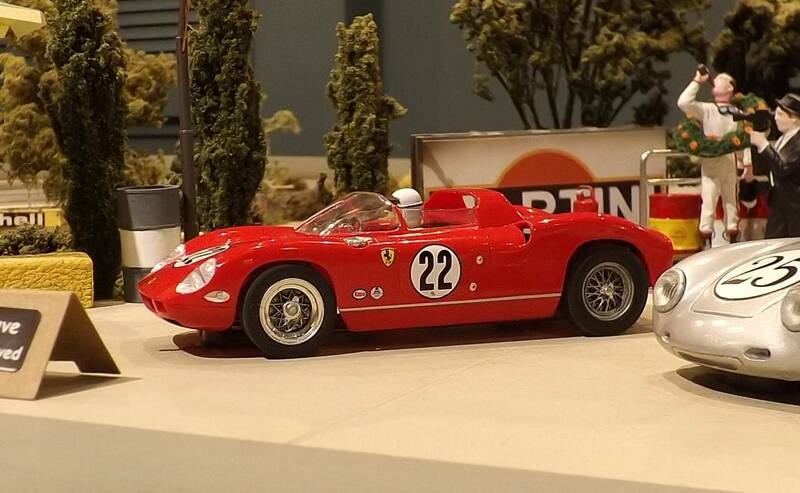 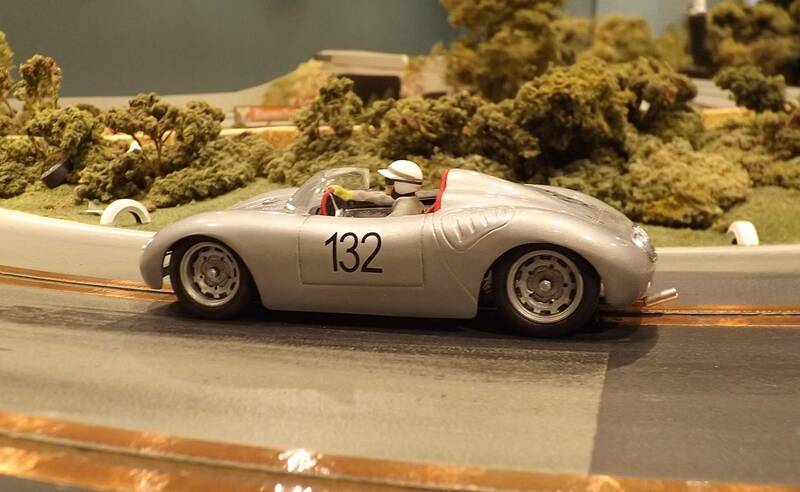 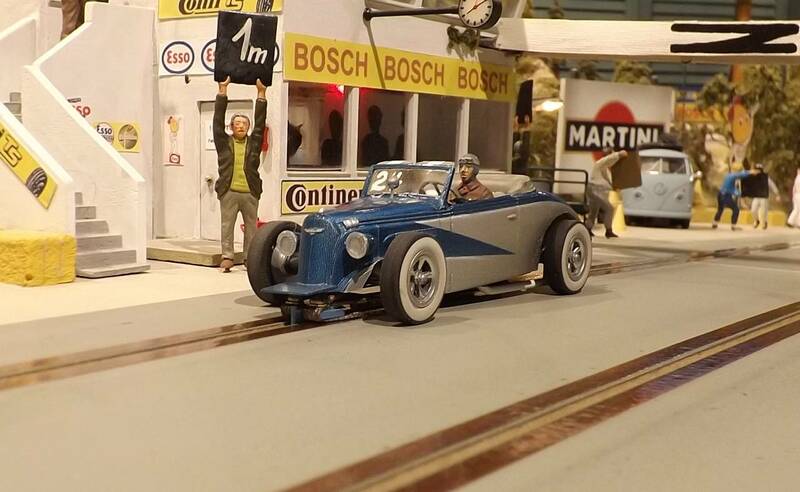 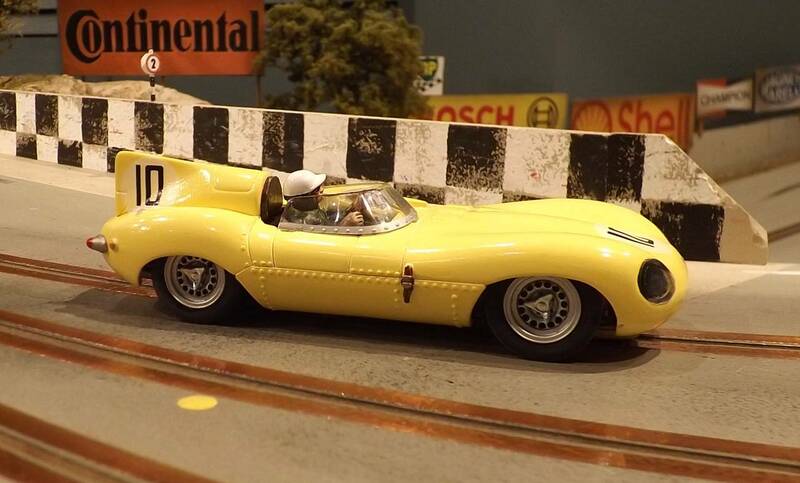 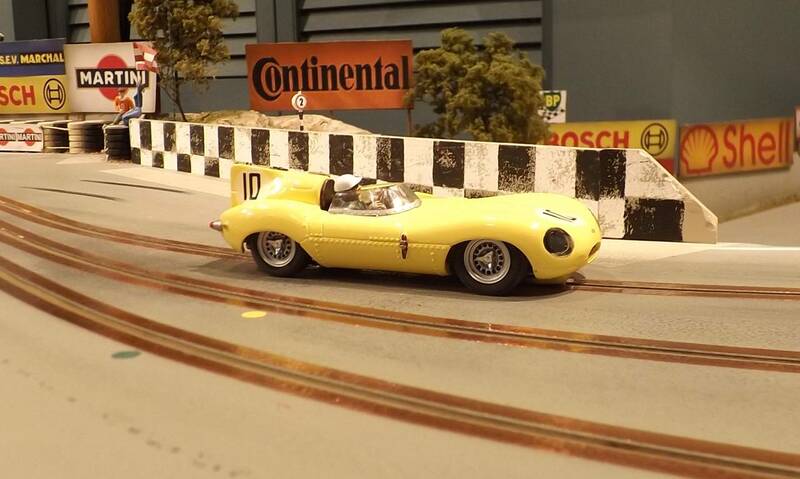 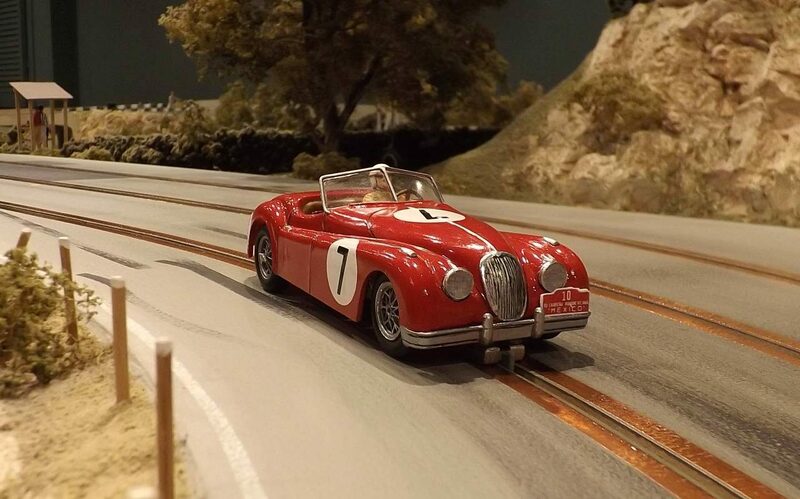 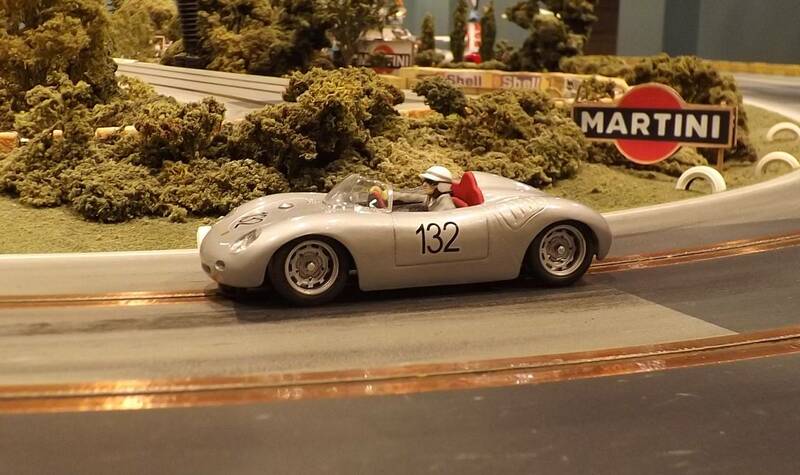 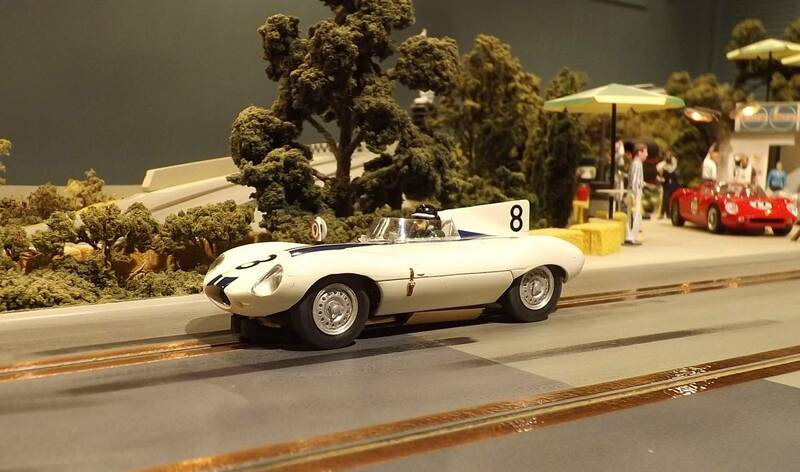 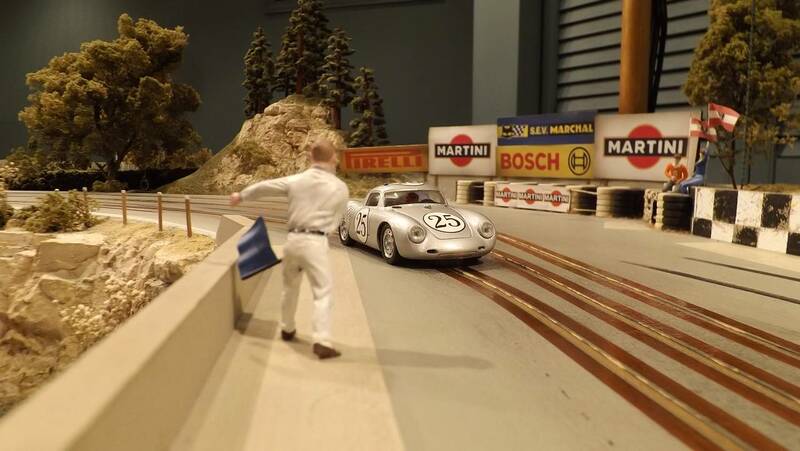 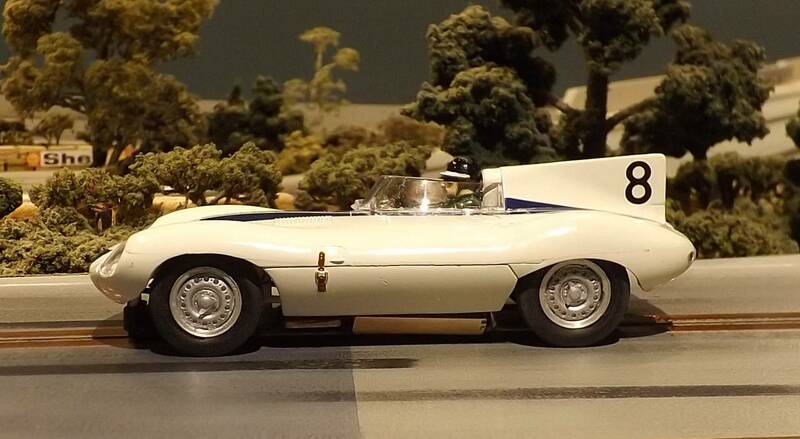 This edition of the Meisterschaft would see the debut of Wolfgang von Trips’ 1956 Porsche 550 A Coupe – a lovely scratch built model by DB. 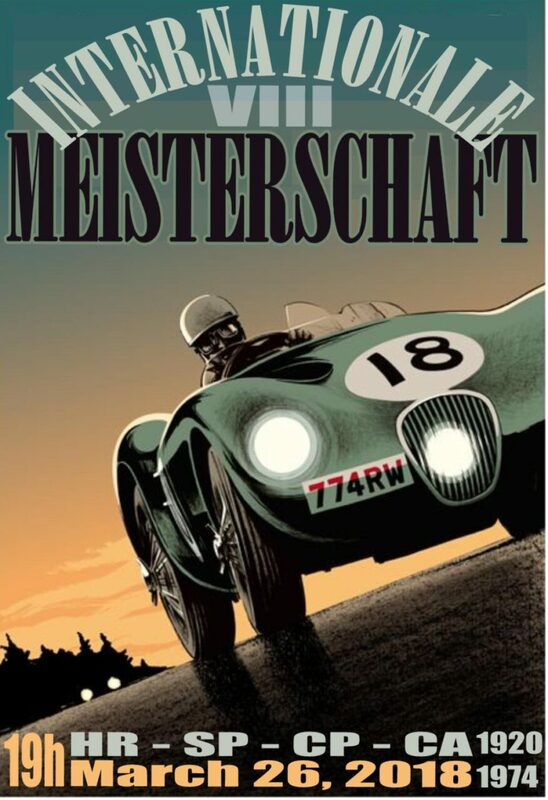 #24 – J. 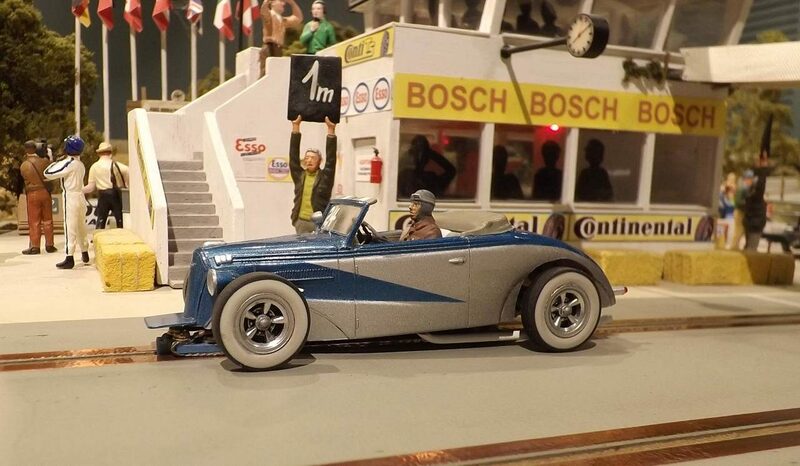 ‘Beef’ Trapper (’37 Chevrolet Convertible) 53 (5.311). 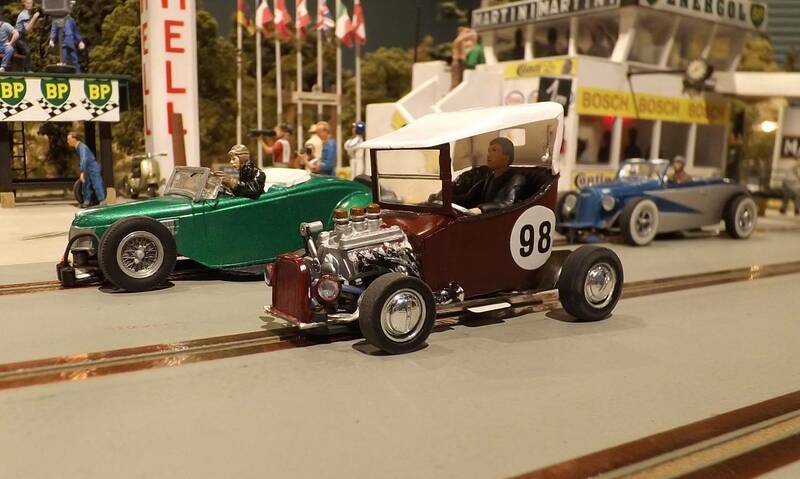 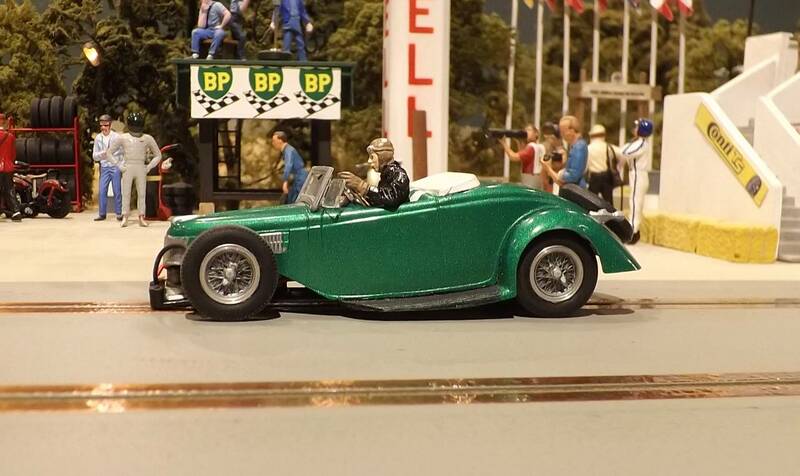 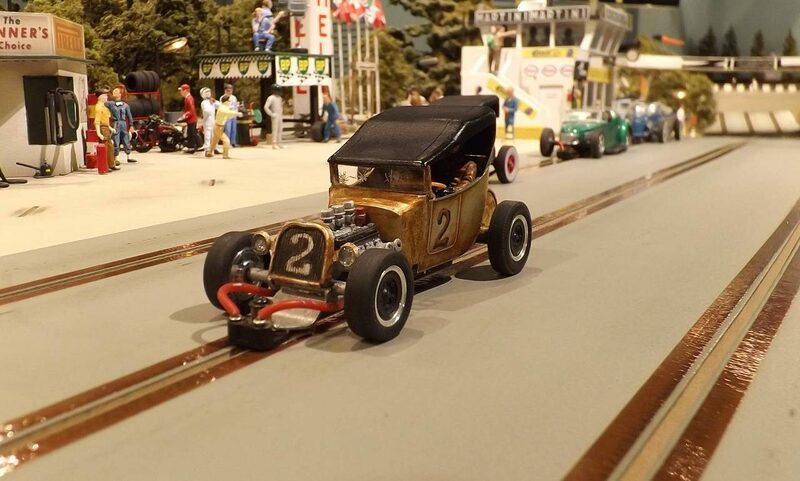 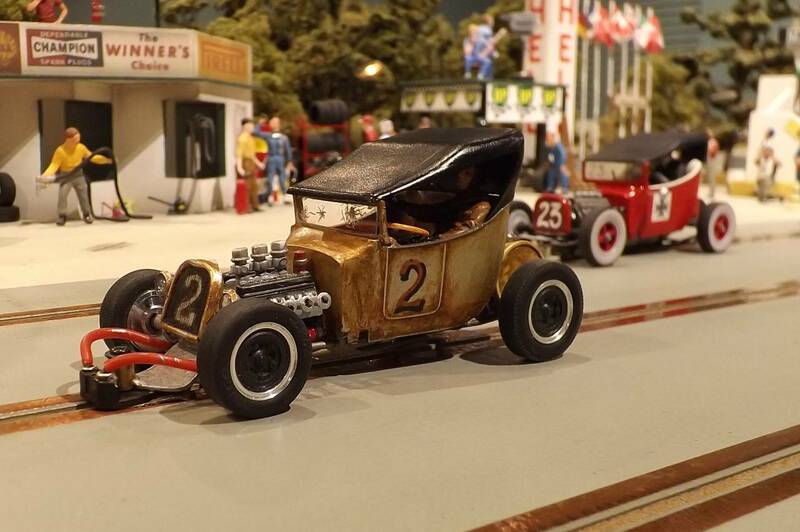 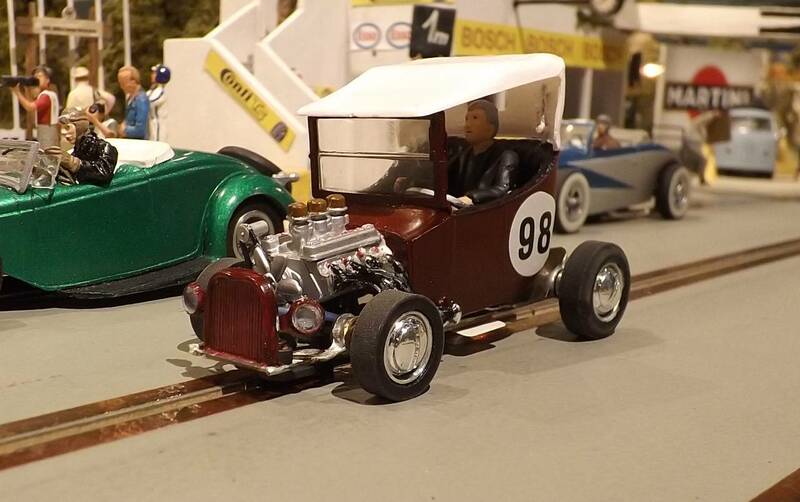 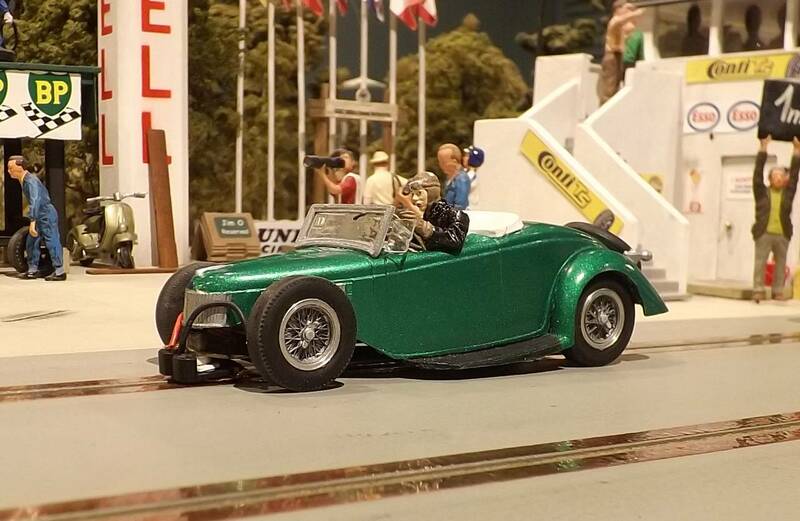 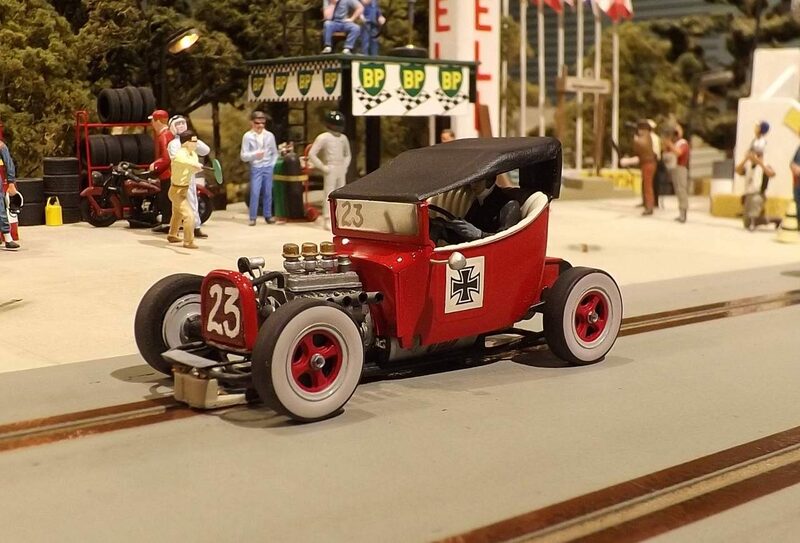 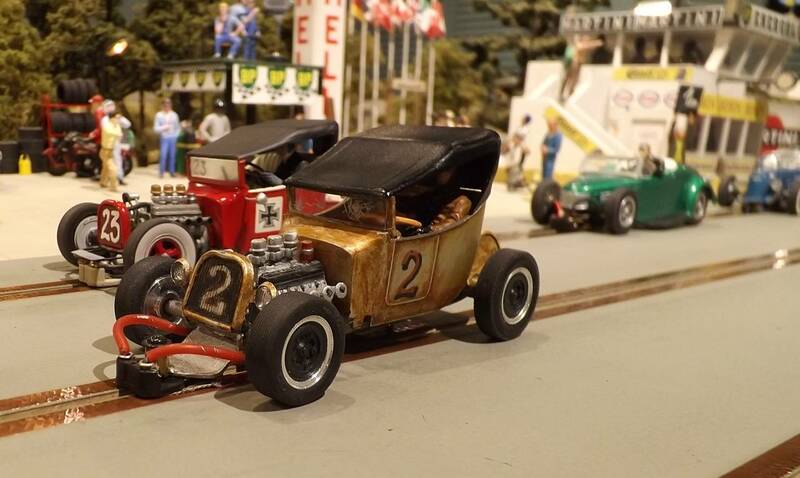 #98 – C. Hughes (’25 Ford Model ‘T’) 54 (15.947). 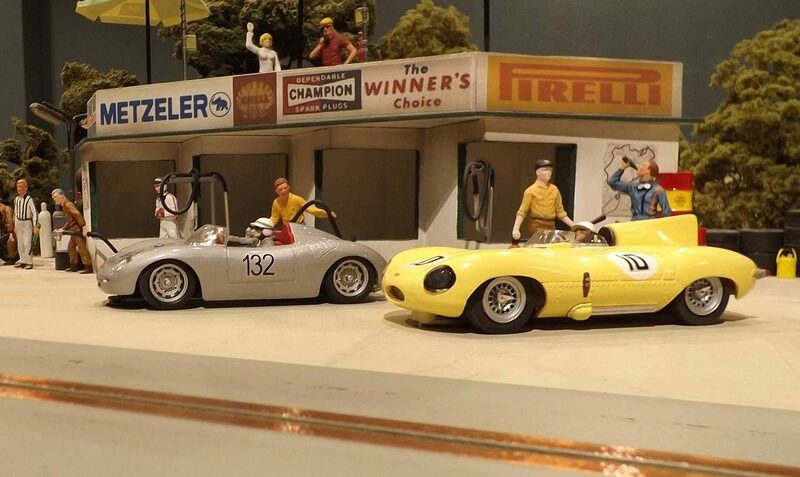 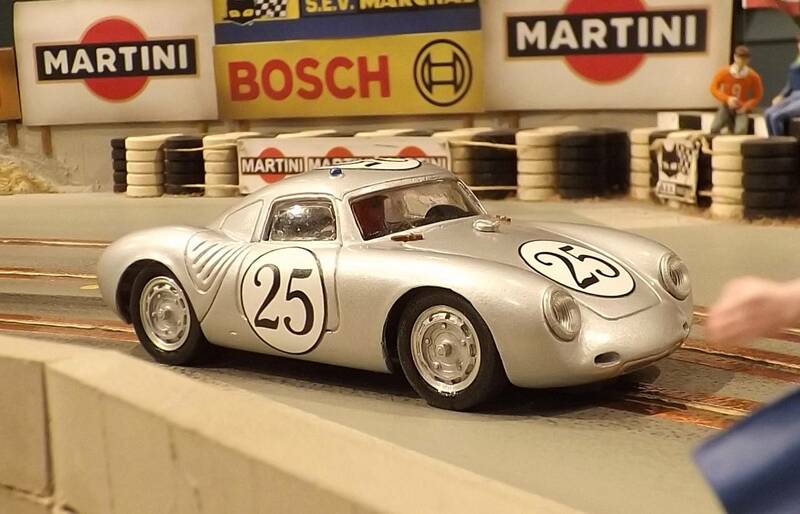 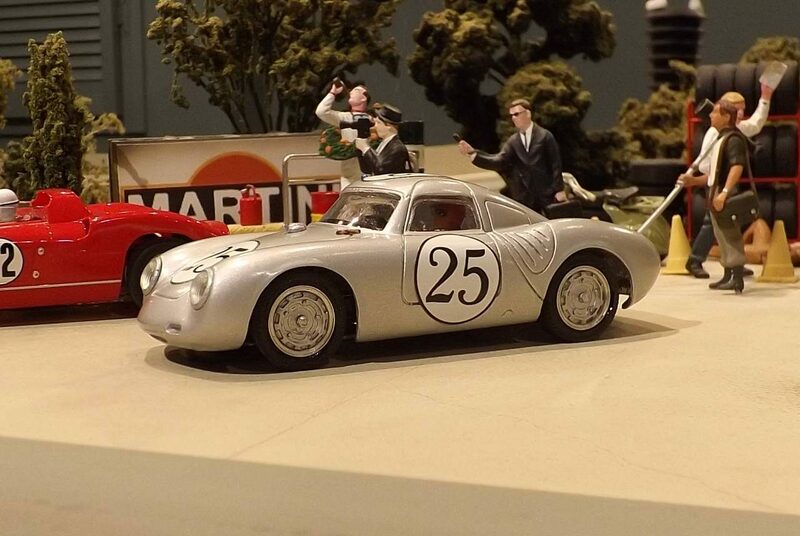 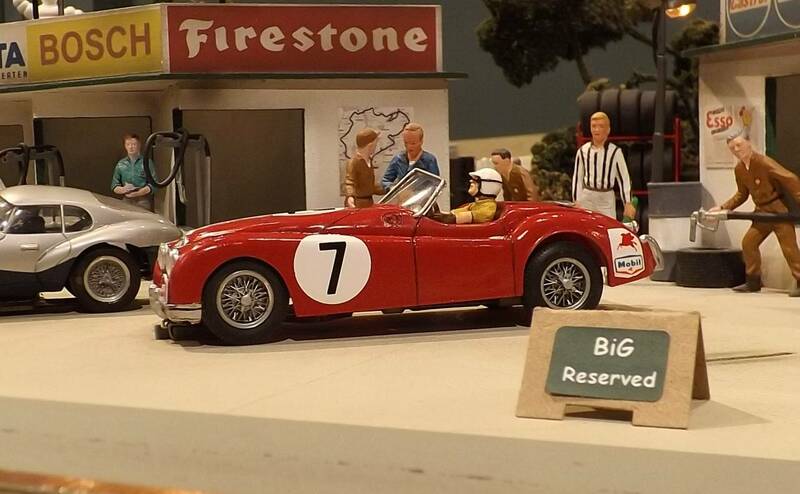 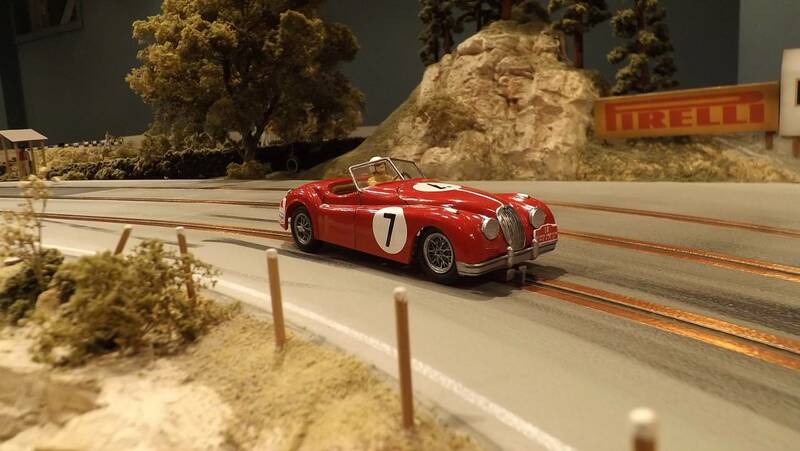 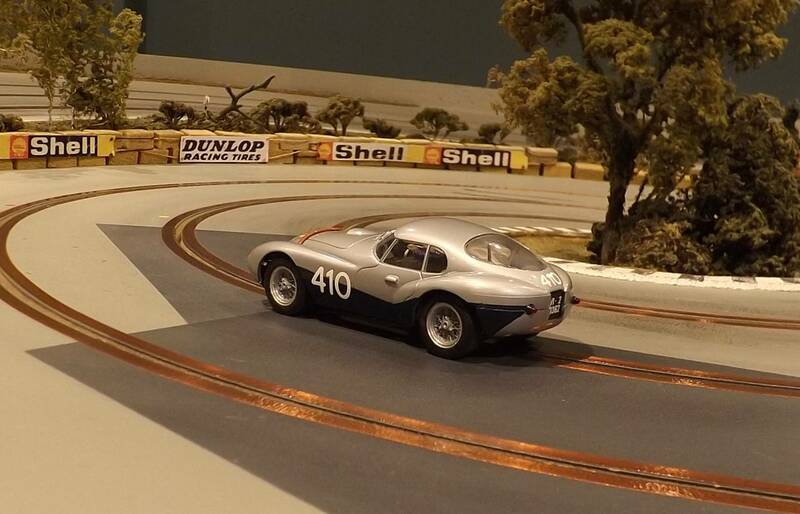 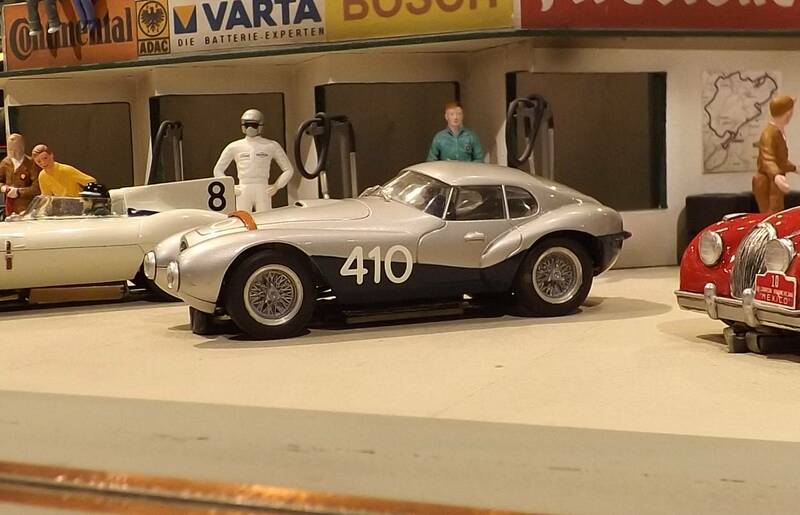 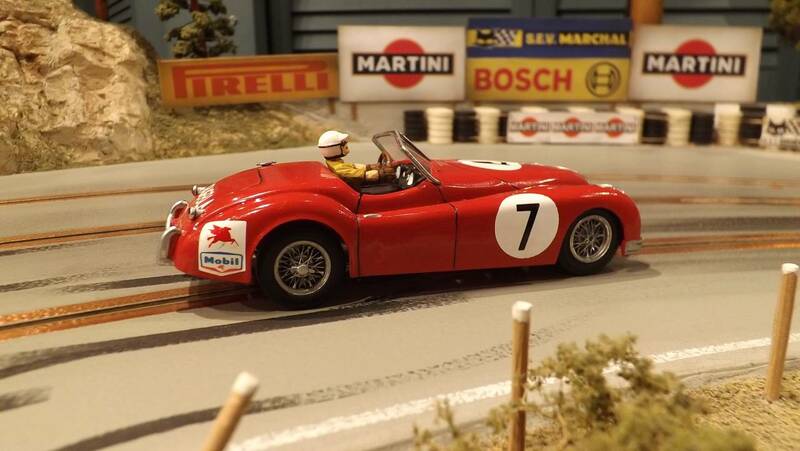 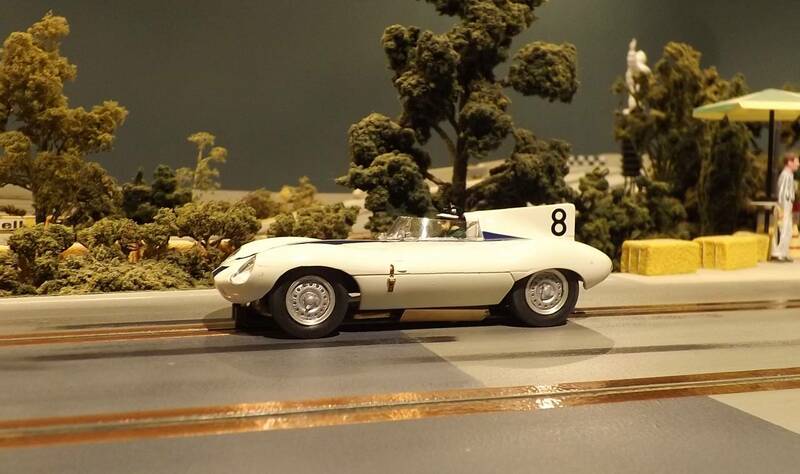 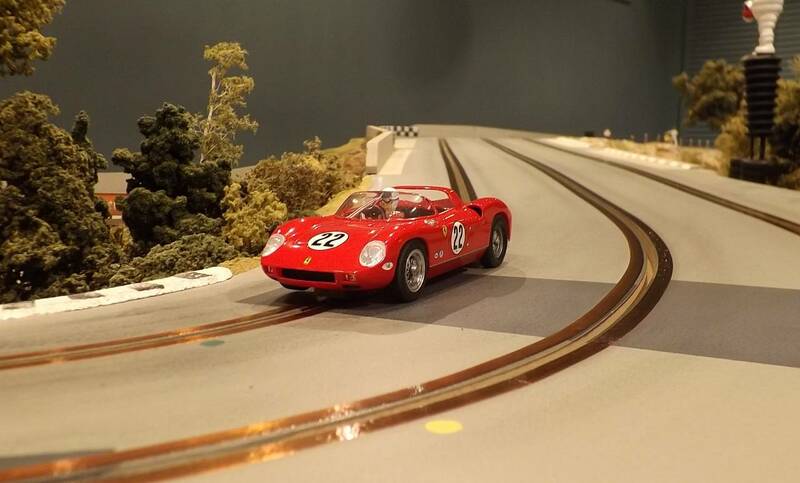 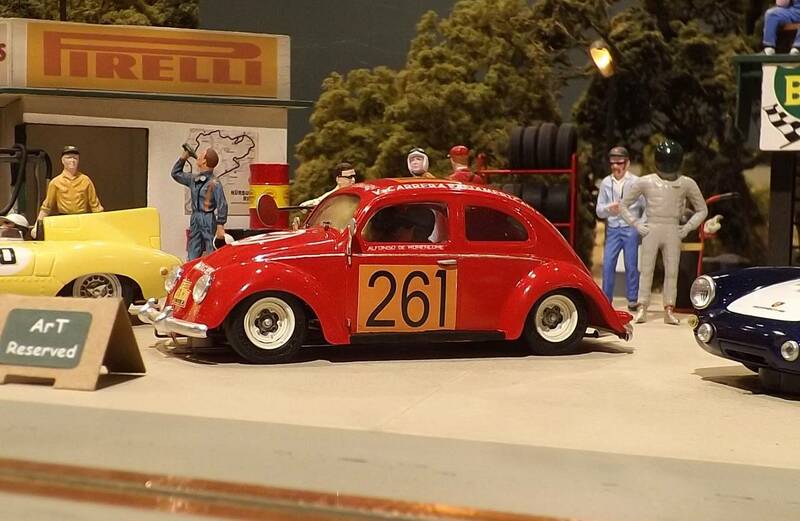 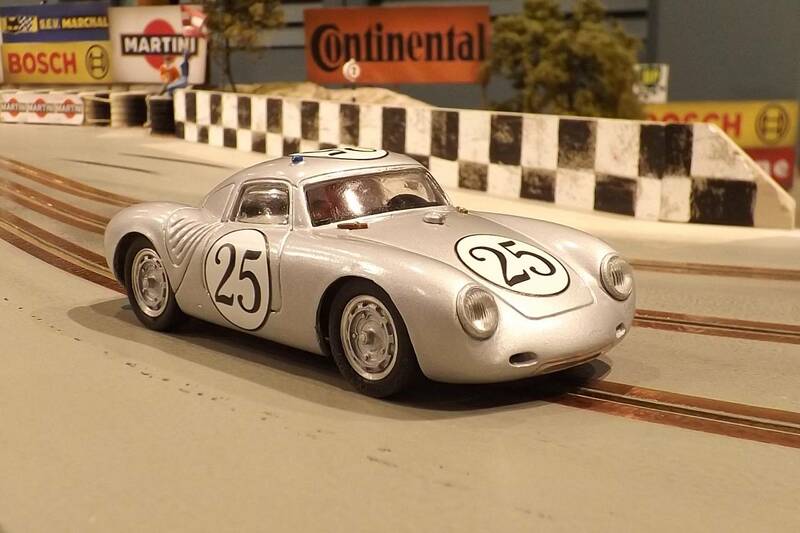 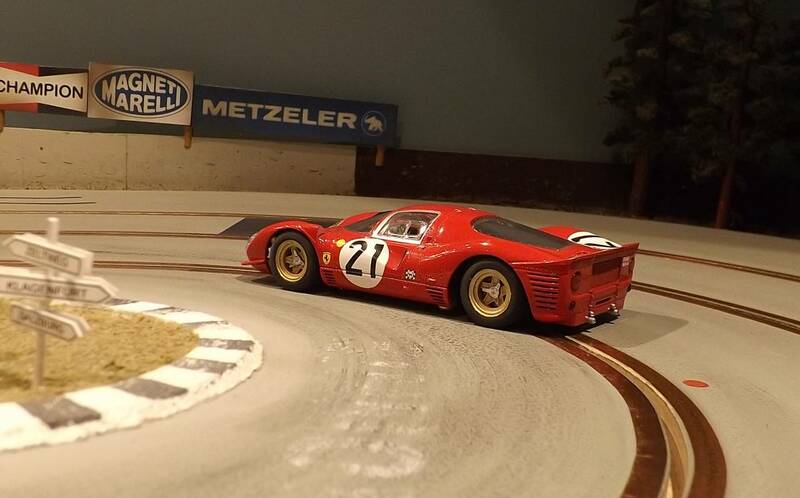 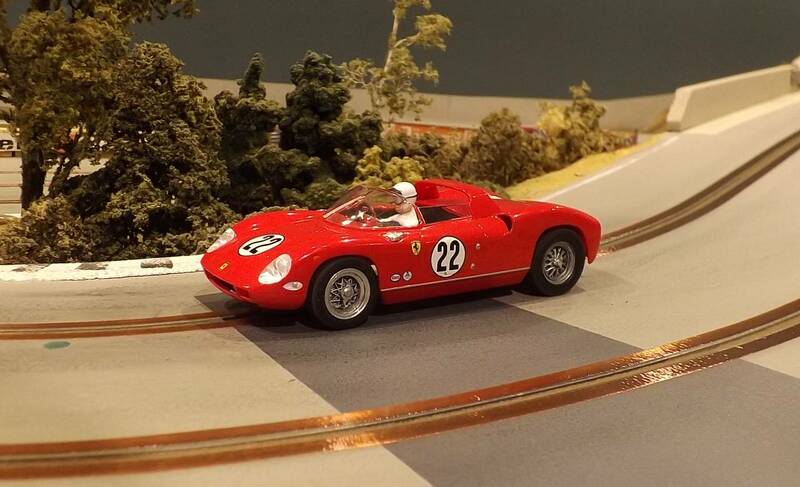 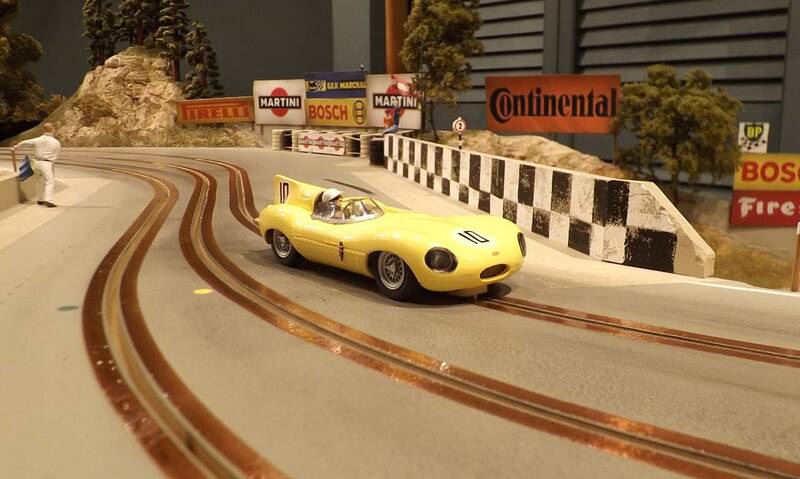 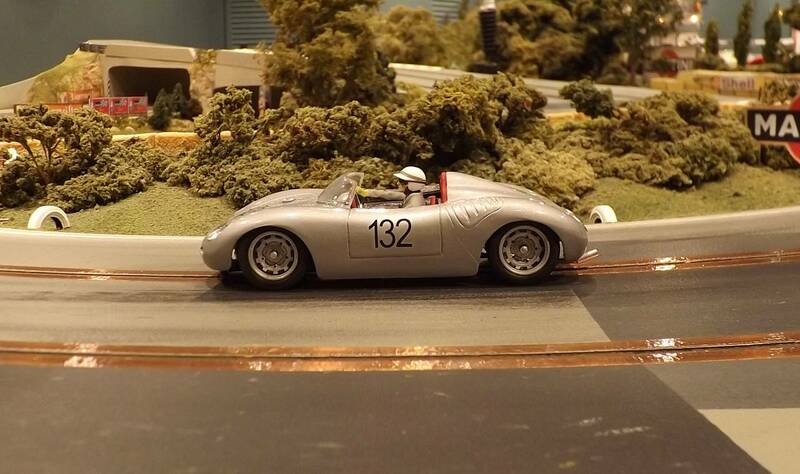 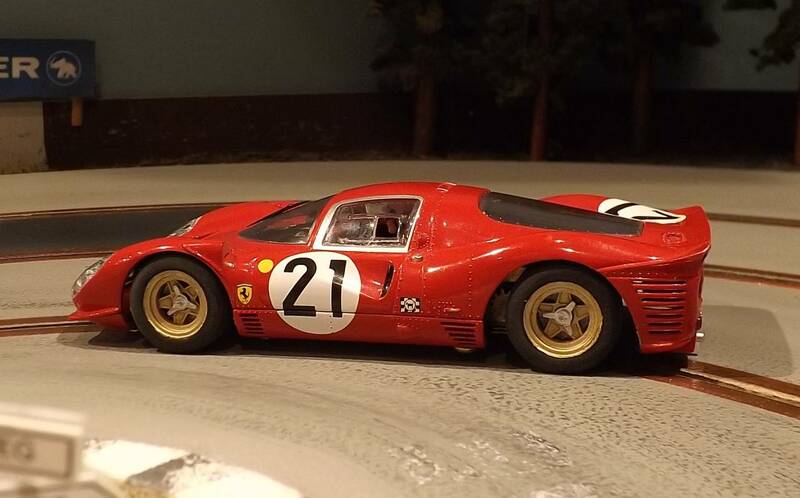 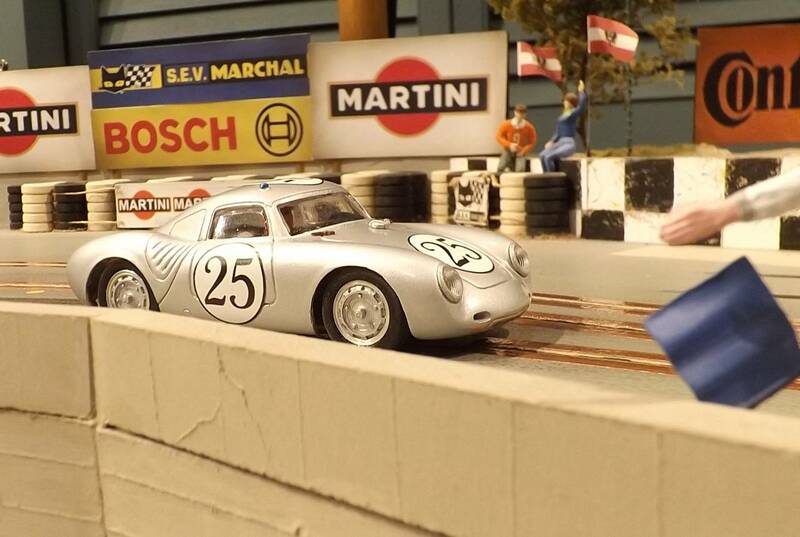 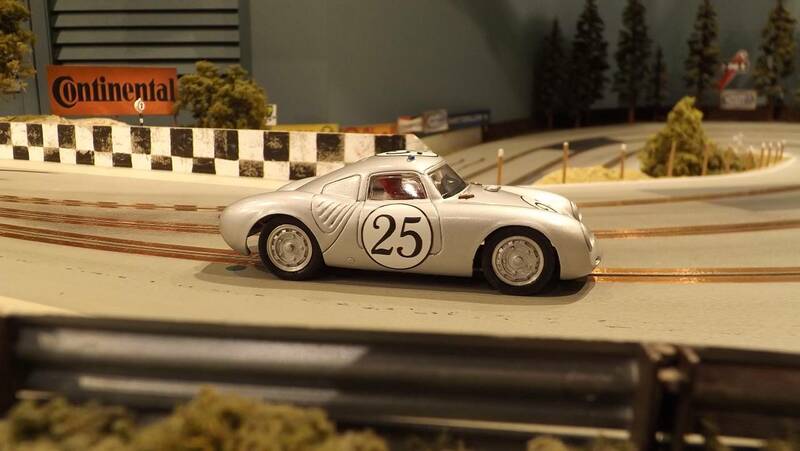 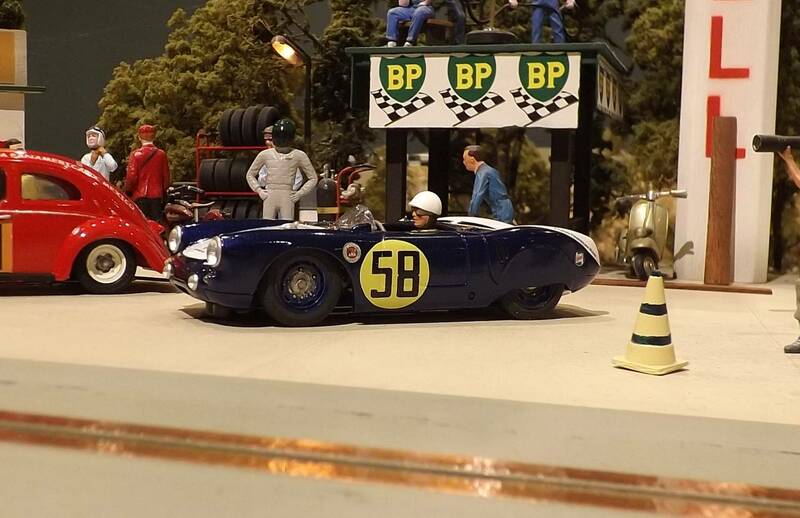 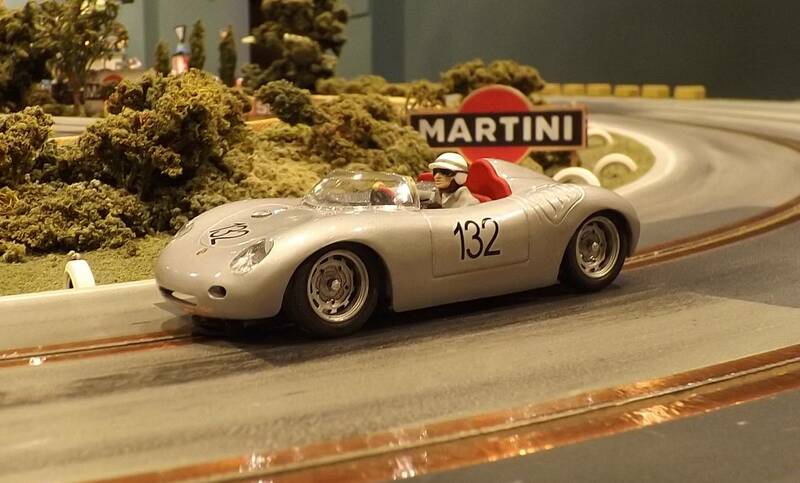 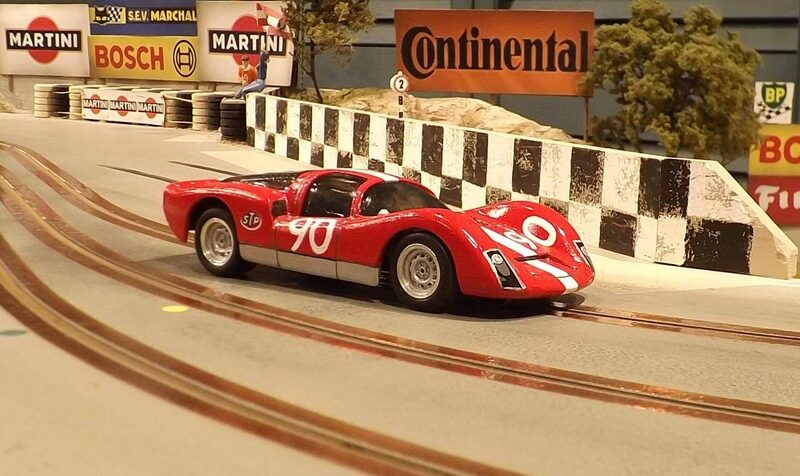 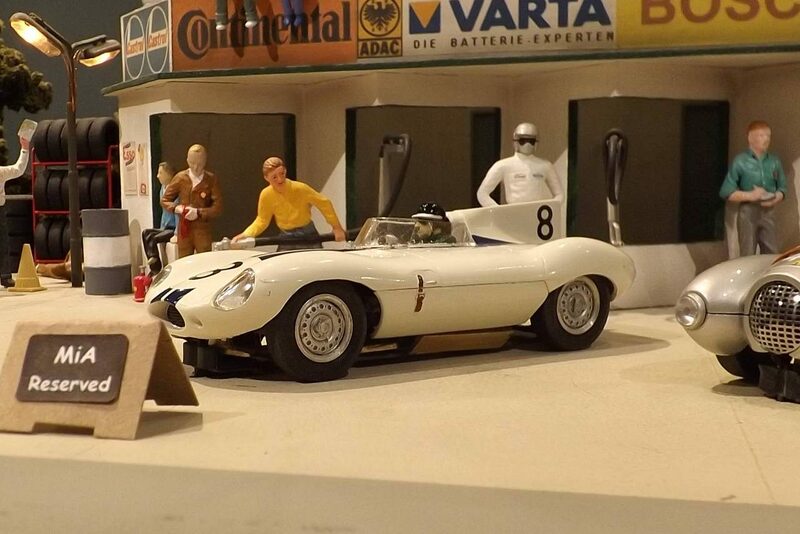 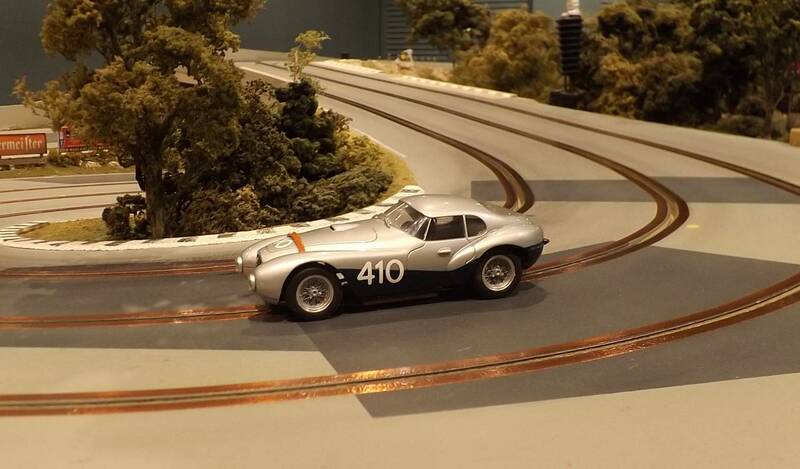 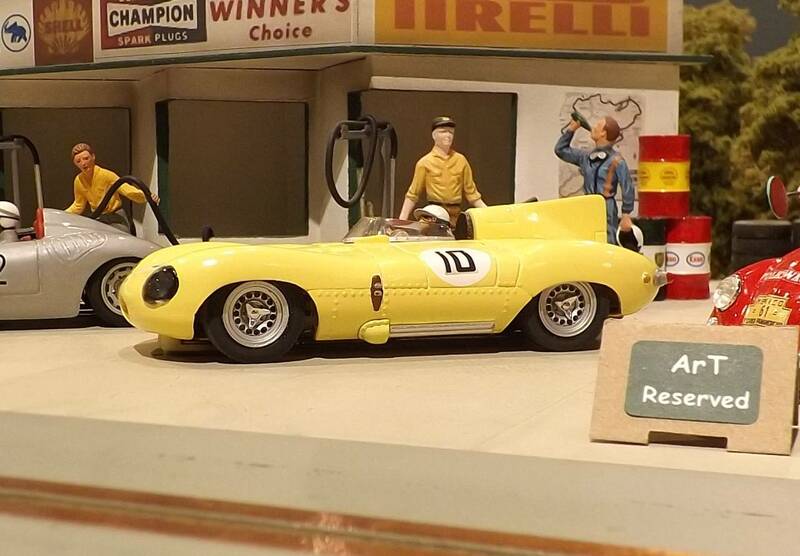 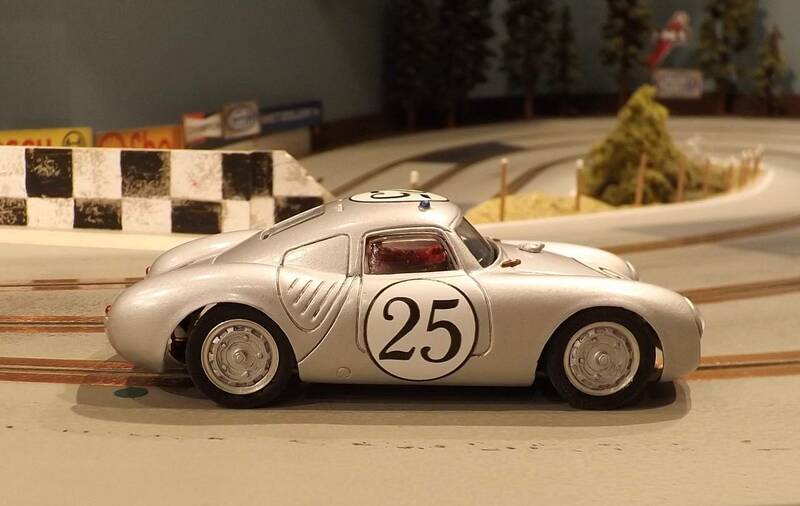 #25 – W. von Trips (Porsche 550 A Coupe – SP Mid S) 62 (24.140). 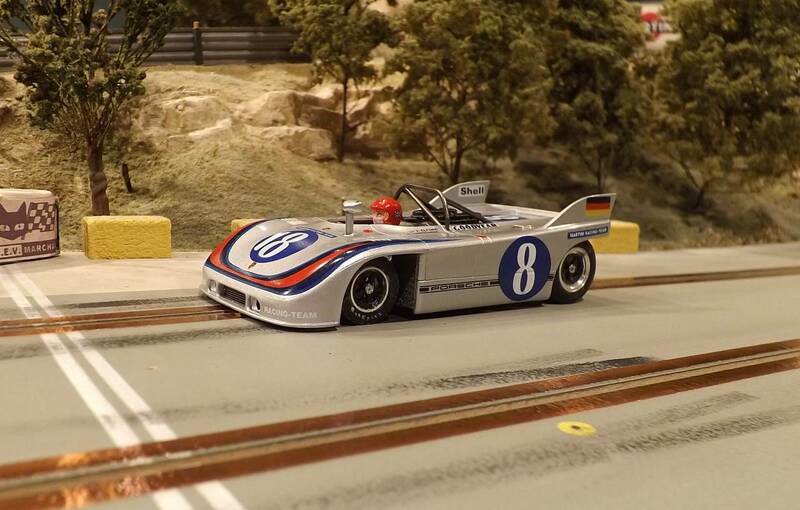 #132 – H. Herrmann (Porsche RS61 – SP+ Mid S) 77 Laps (10.416 ext.). 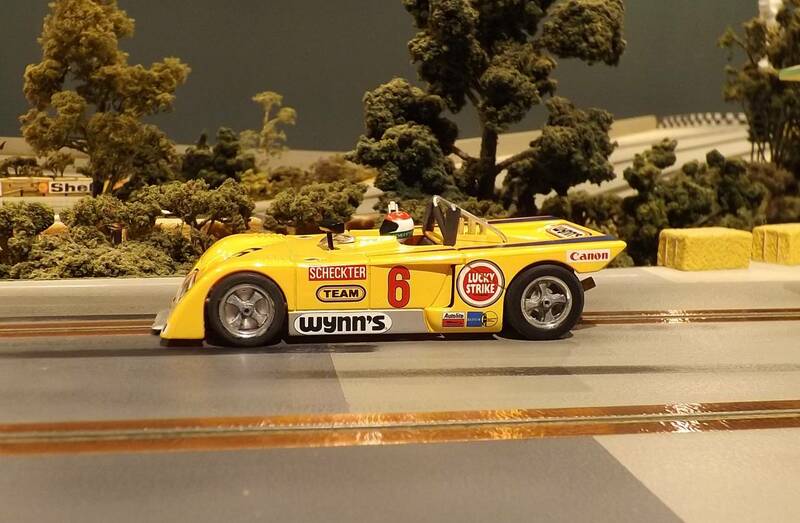 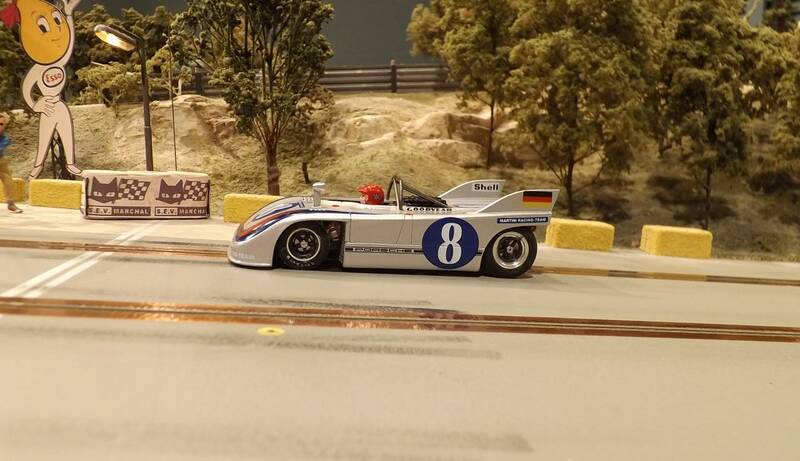 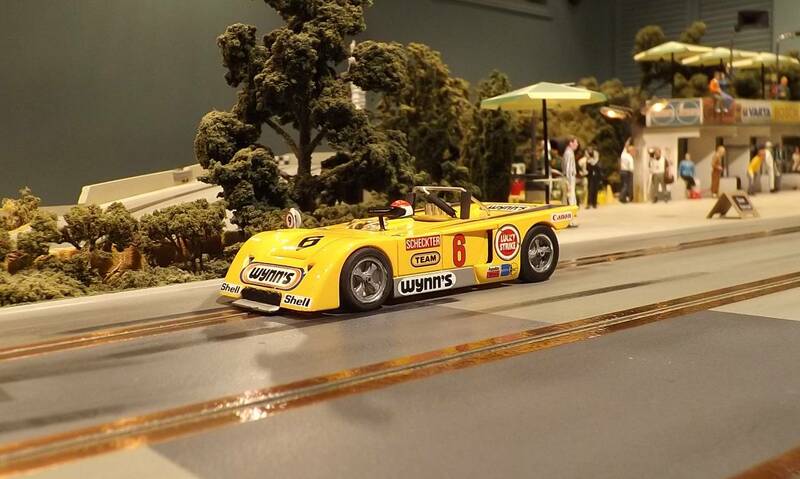 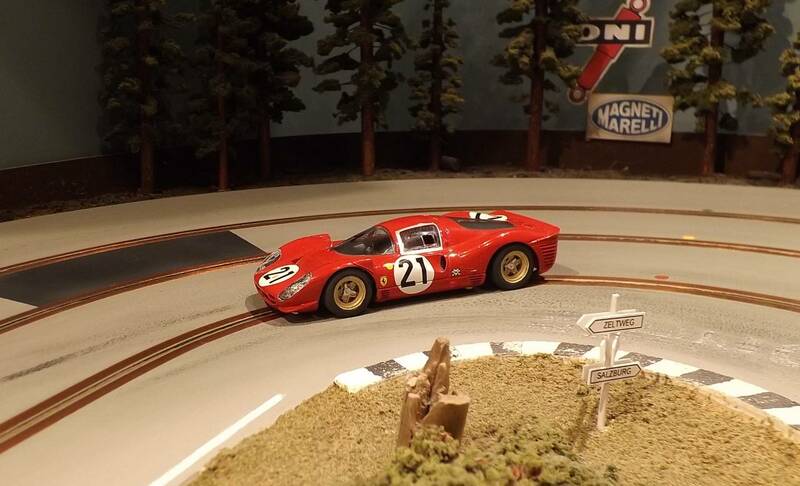 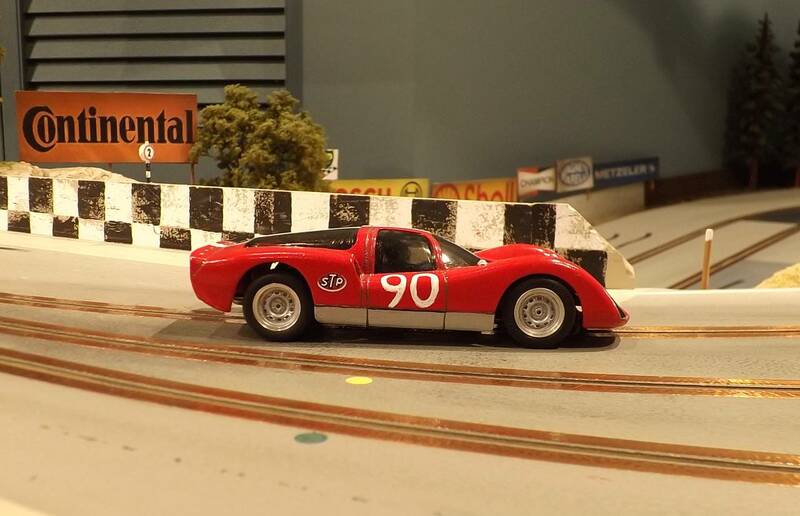 #6 – J. Scheckter (Chevron B19) 67 (9.787).